Det ble en elegant og meditativ nyMusikk kveld på Landmark forrige tirsdag. Lucio Capece fremførte en tålmodig utforskning av instrumentets kanglige muligheter, og tikk takk til Les Trotteuses for å vise oss at det kan lages minimalistisk techno med vekkerklokker. For soprano saxophone, Sruti Box-analog electronics (Ring Modulator, Equalizer in Feedback), bass clarinet and preparations. Composed and played by Lucio Capece. Lucio Capece is an experimental musician born in Argentina in 1968. He lives in Europe since 2002, and specifically in Berlin since 2004. 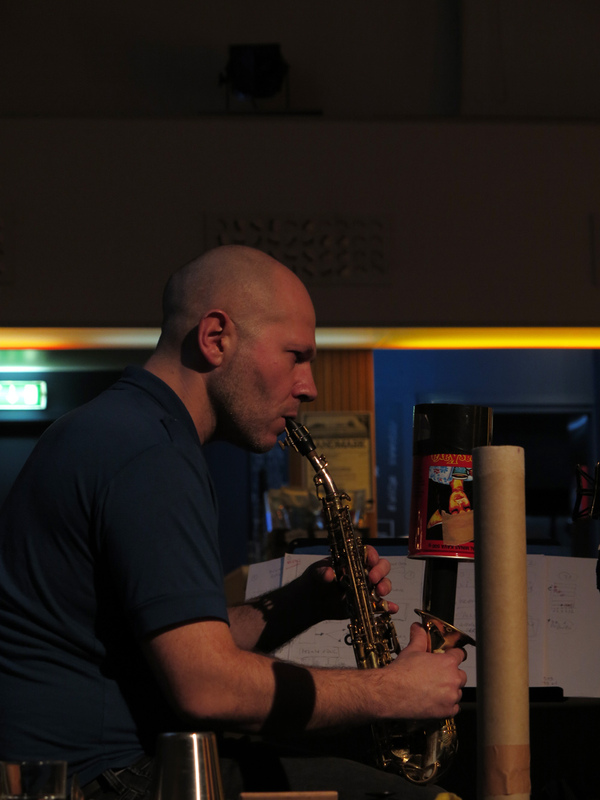 After developing his work in the context of electro acoustic improvisation for over 12 years, Capece currently focuses his work in the perceptual experience. Mainly through his solo pieces, as well as occasional collaborations , also based in the same interest. 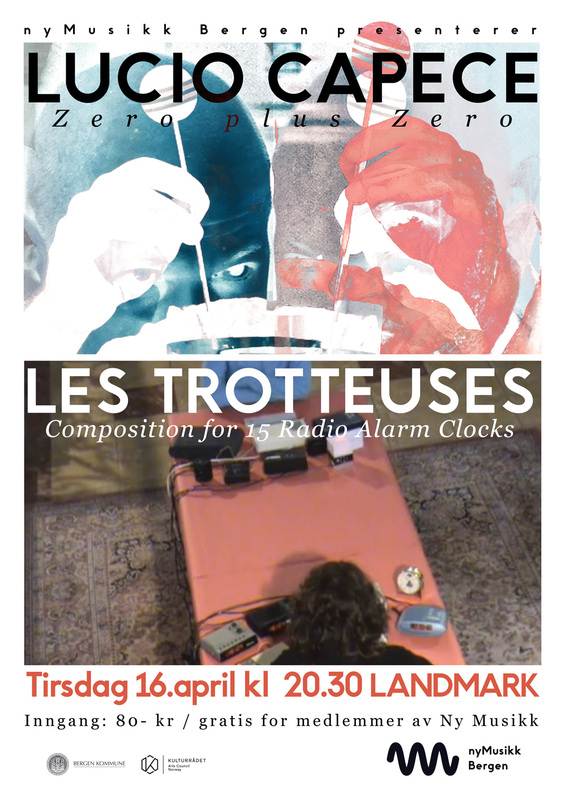 Les Trotteuses (Anne Moirier & Aurélie Pertusot) orchestrate live alarm clocks without the use of computers since 2008. “Composition for 15 Radio Alarm Clocks” is a sound performance consisting of an orchestra of fifteen electronic radio clocks played live without the use of computers. Alarm clocks are programmed in advance and are switched off as one progresses through the composition. The superimposing of bells creates a mathematical music in the rhythms both repetitive and evolving. The image of a classic orchestra strengthens the idea of a removed and absurd situation. The alarm clock shows changes in our society : it is the symbol of work, the «duty to wake up in the morning». 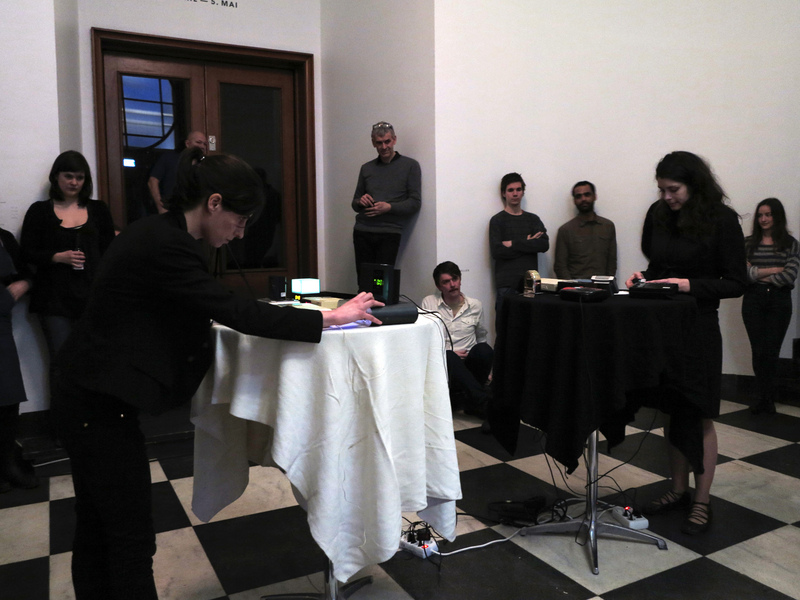 The performance changes the perception of a sound considered usually as a call to order.